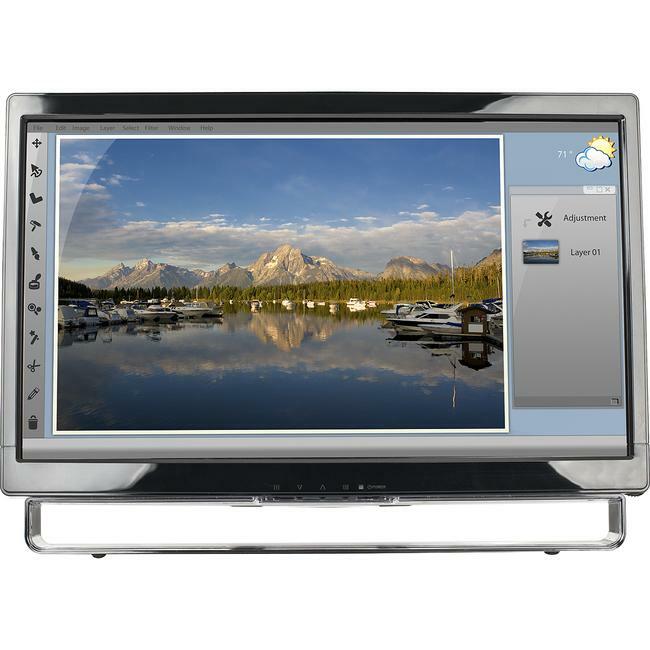 The PXL2230MW 22" widescreen multi touch LCD monitor is optimized for consumer multimedia applications. Designed for only Microsoft Windows® 7, the monThe PXL2230MW 22" multi touch full HD widescreen edge-lit LED LCD is optimized for consumer multimedia applications. Designed for Microsoft Windows® 7, the monitor features an optical multi touch screen (USB interface). The PXL2230MW offers VGA, DVI-D and HDMI video inputs for flexible monitor setup and integrated speakers. The thin black bezel makes the PXL2230MW ideal for multiple monitor applications. VESA Mount CompatibleYesVESA Mount Standard100 x 100Height12.9"Width20.3"Depth2.8"Height with Stand14.70"Width with Stand20.30"Depth with Stand4.90"